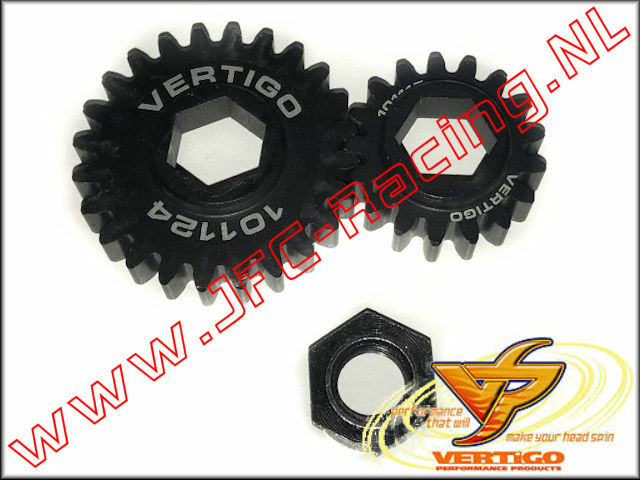 VTG VGS1724, Vertigo 17/24 Gear Set (Vekta.5 Carrier) 1pcs. 17T/24T gear set for the Vertigo Performance Vekta.5 clutch carrier unit. Kit includes one 17T gear, one 24T gear and one nut. 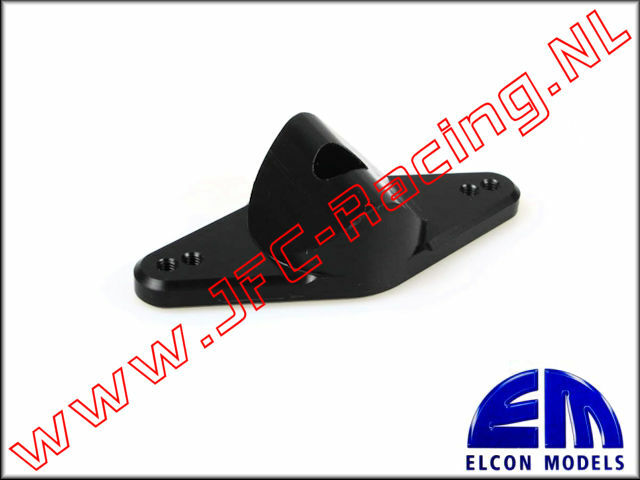 When using 24T as a pinion gear minor modification is necessary to the shoulder the gear cover sits on and the included nut must be used on intermediate shaft. *Disclaimer - When using such a tall gear ratio as 24/17 it is recommended a high quality clutch and high HP engine such as the RCMAX 46 and bigger be used. We are not responsible for drive train damage should it occur using such a large gear ratio.